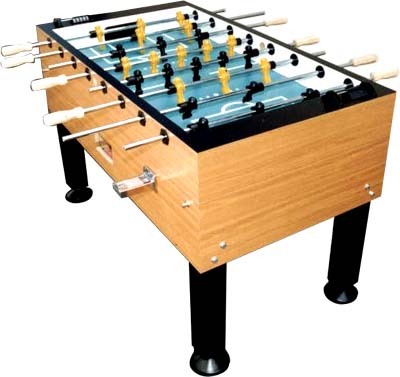 Some of you have probably heard of the Torpedo Foosball Table, manufactured by Unicorn of Penang. Although it bears a striking resemblance to the Tornado, it is 100% Malaysian made. 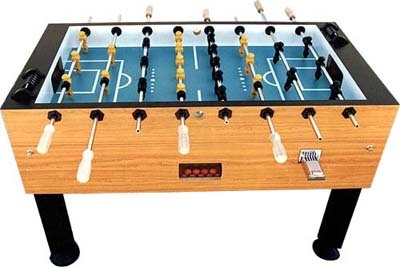 I have not tried the table myself, but from what I have heard from some friends, it plays like a Tornado. If you have tried the Torpedo before, please give us your comments below. One of the major difference between the Tornado and the Torpedo is price (of course lah...:-). A Tornado T2000 cost more than RM 10,000, whereas the Torpedo cost RM 5,500 (without the coin-slot). I believe the price can still be reduced, if say, you were to order 5 units? LOL. To add salt to the wound, I have heard that, even if you can afford the RM 10,000 to buy a Tornado, the distributors are not prepared to sell the table to you! Personally, I think the Torpedo will be excellent for companies who want to provide their employees with "timeout" activities within the office walls. There is an excellent article from Cnet.com that documents the popularity of foosball in tech companies like IBM, Intel, Yahoo, etc.